It really was inevitable. Anime, the visual medium almost entirely invented to tell overbearing stories of teenage power fantasies is finally adopting eSports as its muse. 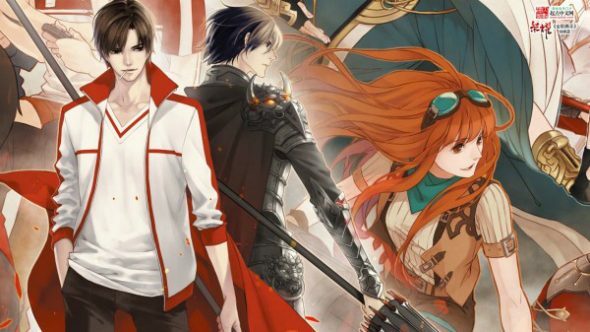 Read more: best anime games on PC. The King’s Avatar (or, potentially,Master Of Skill) is an upcoming anime about a pro MOBA player being dropped from his team and climbing his way back to the top, for release sometime in 2017. The trailer appears to cast the players as their own hero characters in battle, like a sort of bloodsport that chews up and uses young talent, one of the themes of the novel it has been adapted from. In 2012, Quan Zhi Gao Shou as it is called in China, became an internet sensation for depicting the fall of a top player in his chosen eSport and the drama of returning to the pro scene over the course of a year. It is now being adapted for the screen by Tencent, the majority stakeholder in League of Legends developer Riot Games, and Yuewen.com. You can see the trailer below which is like a LoL Worlds animation turned up to 11.